Copperfield is one of Houston’s first master planned communities. Located in the Cy-Fair or northwest part of Harris County, this +2,000 acre community was started in 1978 and the last few homes were finished in 2003. A popular neighborhood with modestly priced homes. Near the intersection of Highway 6 and Highway 290, Copperfield began to grow and quickly become a center of living in northwest Houston. Seven villages make up the the Copperfield area and include Copperfield Place, Easton Commons, Middlegate Village, Westcreek Village, Southdown Village and Southcreek Village. 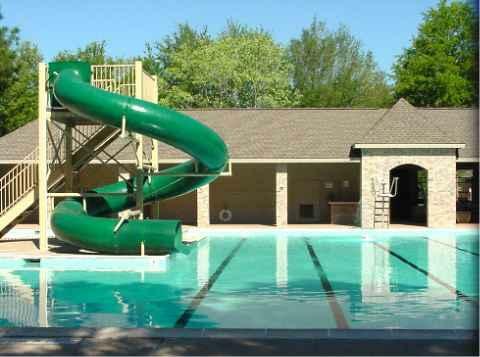 Each village boast parks, trails, community pools and more. Mature trees line the side walks and trails that cross the area. Copperfield homes for sale in 2015 sold within a range of $125,000 to $350,000. Most homes were 4 bedroom and are 2,000-3,000 square feet. Copperfield homes were built by recognized builders such as David Weekly Homes, Perry Homes, Ryland Homes and Plantation Builders. Copperfield features several Cypress-Fairbank schools. Lowery and Fiest Elementary as well as highly ranked Labay middle school. In addition to the schools, an active home owners association enforces the deed restrictions for the community. Harris County Sherrif’s Department patrols the area for enhanced security. Other amenities around Copperfield include the Copperfield Racquet and Fitness club, Langham Creek YMCA, Hearthstone Country Club and golf course, Studio Movie Grill, several churches including St. Luthberts Episcopal Church and great shopping featuring popular stores such as Best Buy and Lowes. Buyers will be looking for Copperfield homes for sale considering all the amenities, schools and easy access to major freeway that lead into Houston and employment destinations such as the Houston Energy Corridor, Memorial City Mall and the Houston Galleria. To schedule a tour of Copperfield homes for sale or to receive price information on your home, please contact Mark McNitt at 832-567-4357.